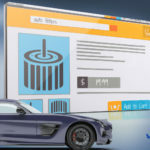 Related Product Availability: When scanning to search for one product, users will be able to see all the other related products available for that same vehicle. Customer Service: There are links to call or e-mail us for more information or technical support. To download the free TrakMotive mobile app for Apple iOS, please visit https://itunes.apple.com/us/app/trakmotive-parts-catalog/id1396093801?ls=1&mt=8. For users with Android devices, please visit https://play.google.com/store/apps/details?id=com.verticaldev.trakmotive. 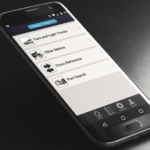 In addition to the mobile apps, an application lookup is also available on TrakMotive’s online application catalog, ShowMeTheParts at www.ShowMeTheParts.com/TrakMotive. To put ShowMeTheParts to work for your brand or company, visit verticaldev.com/showmetheparts/ or call (847) 609-9540. TrakMotive® specializes in brand new Light Duty Truck CV Axles, ATV-UTV CV Axles, Drive Shaft Assemblies and Window Regulators. We are a full-service manufacturer providing sales, customer service and technical support for all our valued customers. For more information about TrakMotive, please contact Customer Service Department at 800-567-1608 or www.trakmotive.com. Vertical Development has helped companies design parts catalogs for over 30 years, both in paper and digital formats. Their ShowMeTheParts database is the largest public aftermarket parts database on the market, containing over 1.7 million parts entries that include 3.6 million attributes, 8.5 million interchanges, and 2.5 million images. This database is built around HTML5, allowing data to be accessed on mobile devices through apps and mobile web browsers. For more information about Vertical Development, visit http://www.verticaldev.com/about/ or call (847) 609-9540. 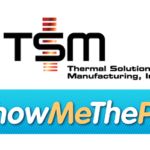 For more information about ShowMeTheParts, please contact Paul Scripp, Product Manager at 630-724-1159 or PScripp@verticaldev.com.